Bottom line, I'm overwhelmed and my Anxiety is back! If I don't watch out Depression won't be far behind! It's time to take care of Thomas! You all are the Best! Keep supporting each other - I know you will! 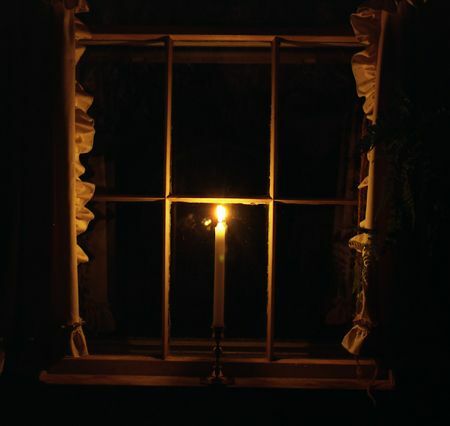 I will keep a light burning in the window for you so you can find us when you feel able to return. Llama'll about taking care of yourself, Thomas. Congratulations on your new granddaughter! Way to go with your new job training! Fingers and toes crossed for you about Medicaid and Disability classification. I hope you enjoy your break. I'll miss you. See you on the be-back. Super big Hug to your Thomas!!! And huge congrats on that beautiful new grand-daughter! The wonderful thing about being a experienced Elder in here ( and very respected by me) is you know when you need to stop and take care you. We have your back. No Problem. Do You. Love you. Be Blessed. You will be missed but you are so right, you can't help us if you don't take care of yourself first. Breathe!!!! Enjoy the surroundingspeed you have been blessed with. Recharge and take charge Thomas. Look forward to your refreshed self! Please take care of 'our' Thomas, Thomas. Last thing you want is that %^&*&^% depression. Take good care of yourself! And share a picture of the new grand baby when you can! I know that I am only one among a LOT of people who will be happy to see you when you come back, all refreshed and renewed! Enjoy all the Grandpa time, too! Congrats and take care Thomas. You know best what you have to do. You're so wise to know when you need to take care of YOU before things head south! Happy new granddaughter!!!!! Prayers and a big hug Thomas! Please - take care!